Heber Valley is constantly evolving. As the community continues to welcome new families to the area, naturally the products and services needed to take care of growing community have to adapt and evolve. The same is true for health care. As the population grows so does the demand on the health care system at all levels, from bumps and bruises, to strokes and heart failure. Preparing for and anticipating these types of changes has been at the core of the mission of the Heber Valley Hospital over the past several years. Si Hutt, Hospital Administrator, said it’s important for them to forecast future needs of the Heber Valley by watching population projections, demographic trends, and analyzing needs to match the right services to support the community. From this data the hospital began a major $40 million expansion project to offer more quality care and extend the variety of services. For example, recently the Heber Valley Hospital opened a new Instacare and Emergency Department. “Building the InstaCare and Emergency department is part of Intermountain’s coordinated and continuum of care, so if you don’t need the emergency department you can go to the Instacare or use the Connect Care options,” said Hutt. All the improvements, additional services, and hiring of new specialty doctors has all been to ensure high quality care. Hutt points out in emergency having a local hospital and local doctors can make all the difference. This quality care and commitment to the personal touch hasn’t gone unnoticed. According to a national survey of hospitals Heber Valley hospital ranks in the top 10 percentile in patient experience. Meaning our own home town hospital competitively ranks among the best hospitals in the nation. In an emergency access to local, highly trained physicians makes a huge difference. At the Heber Valley Hospital the emergency department is always staffed with board certified trauma doctors, and a team of nine doctors are available to assess patient needs to match them to the right care quickly. Hutt shared a recent story of a resident of the Heber Valley who began experiencing chest pains and recognized the signs of a heart attack. They quickly decided to go to the Heber Valley Hospital to get treatment as fast as possible. While in the hospital the patient took a turn for the worse. The doctors were able to quickly stabilizer the patient and get them ready for a Life Flight ride to Utah County. Had the patient decided to drive to Utah County from the onset of the pain the patient would have lost consciousness while driving and the outcome would have been devastating. 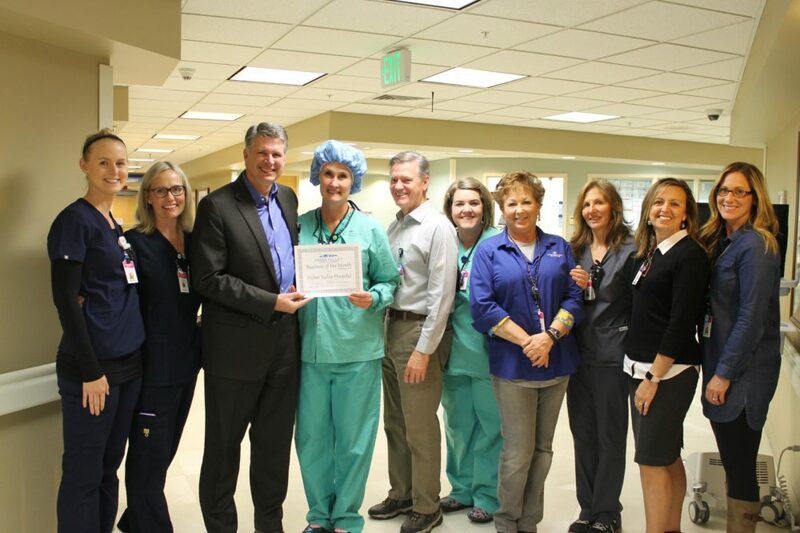 For the ongoing commitment to the health and well being as well as the active role they take in serving the community, the Heber Valley Chamber of Commerce is proud to recognize the Heber Valley Hospital as the November Business of the month.